A very popular journalist who never seems to grow older is getting a second life in The Adventures of Tin Tin: The Secret of the Unicorn. It’s been a while since we've seen the blonde adventurer around and he looks set for another big misadventure along with his dog, Snowy and new found friend Captain Haddock but can Tin Tin relive the glory days currently held by the amazing European comics? Or will the transition of a video game get him off the local Belgian paper. Once again Tin Tin gets involved in a situation that reaches far beyond his job description. After finding a hidden scroll on the inside of an antique ship called The Unicorn and then having said ship stolen from him, Tin Tin pursues his robbers and finds out about the other Unicorn’s and the legend of Sir Francis Haddock, which actually seems to be not so legendary at all (no spoilers!!). A man and his dog... that is all. Again this misadventure leads him to one of Sir Francis Haddock’s descendants, Captain Haddock who was currently being held captive… on his own ship! Once the two meet and get all chummy, they team up to escape the ship and search for the missing Unicorns in order to get to the truth behind the legend. In a no surprise, the narrative is actually really engaging. Throughout the story Tin Tin and Captain Haddock in a way play off of each other. Without the other, the story just wouldn’t progress in its comedic and light hearted form. I found the overall plot to be detailed yet not so over thought that the player would be confused and to top it all off, it was wrapped up nicely at the end. In the main story there are three characters you can control. Tin Tin, Snowy and Captain Haddock with each offering something different in terms of gameplay mechanics. 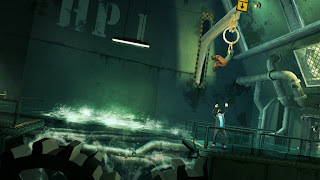 Tin Tin makes use of a Hookshot to reach places that can’t simply be climbed to. Snowy is used to track a scent which appears in the form of footsteps and Captain Haddock is more of the power character who is able to break certain obstructions that are blocking the way. This is how the ship gets rid of the toilet water. The main mechanics are the traditional platform elements e.g. jumping from this wall to the other wall but the game introduces new twists to put a spin on its basics such as a trap door to move from the top level to the bottom or platforms that will only hold up for a few seconds. These small adjustments innovate on what are already strong foundations without taking away what’s already there. Enemy AI only appear during the platforming parts and I find it great that they would continuously chase you down until they’ve made contact however even with all the pressure of keeping away, it was hardly a challenge to defeat them which makes it pretty disappointing since there are so many ways you can actually take them down. 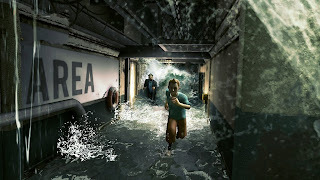 Co – op mode as you may have already guessed is a mode in which you can team up with a friend of yours or go at it alone. The Co op mode follows a separate story where a small blunder by the ever comical Thomson and Thompson causes Captain Haddock a concussion. 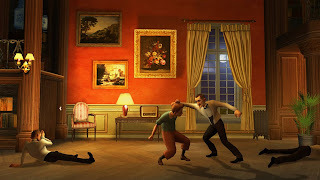 In this dizzying state, the Captain hallucinates about everything he and Tin Tin have come across including a visit back to familiar places and even a showdown with Sir Francis Haddock’s biggest enemy. I promise I'll catch ya! I found the mode to be a great continuation to what the main story mode already offered but on a more difficulty ranging level. The fact that you can choose to play with a friend only allows for better communication, especially when performing an action that requires more than one person. I also found it great that the Co op mode allows you to play as characters you wouldn’t have been able to in the story mode, such as Thomson or Thompson and Sir Francis Haddock with each bringing something to the table that makes them unique in the mode. Challenges provide a fun extra that gives the game that replay ability factor. These challenges vary from flying the plane through the hoops to fighting off the pirates as Sir Francis Haddock. What I found great about these challenges was the option to use the PlayStation move which added a lot more depth and flexibility to the gameplay. It felt a lot more natural to rotate the controller turn the plane and to swing the controller to move Sir Francis Haddock’s sword. Let me teach you how to box! Sound work fits the game’s theme well as you feel like you’re ready to embark on an epic adventure. It’s generally tailored depending on the mood and atmosphere so for e.g. During the car chase at Marlins pike the background music switched to a more jumpy beat which fitted the current situation and added more to the rush of trying to get away. If you were looking for a super sharp looking title, then maybe this one isn’t for you. Yes the textures themselves stand out really well but it’s mainly the models of the characters that bring it down with their slightly jagged edges. These may not be so obvious during actual gameplay but when the cutscene hits, it kind of sticks out like a sore thumb. The environments themselves are big and pretty detailed. Even during the platforming where you expect a little less, nothing is missed to truly show the player that they are at that place. Most objects you will see 3 -4 times during a single level but it does wonders for the game’s frame rate which runs at a smooth 60 frames per second. 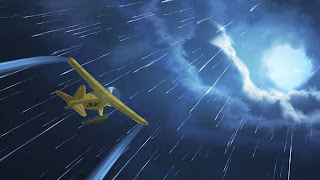 Nothing like flying a plane through a storm! 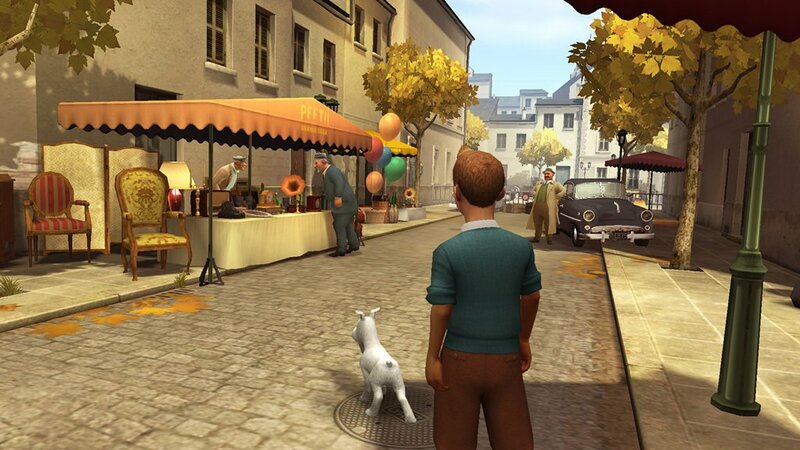 The Adventures of Tin Tin: The Secret of the Unicorn definitely has its charms! Its platforming elements are fun while at the same time devastatingly annoying on the harder levels. The graphics stick well to the theme but can seem a little low/ jagged in some places, especially on the character models themselves however with a whole separate co op mode and extra challenges to keep you busy, how could you ever say no?